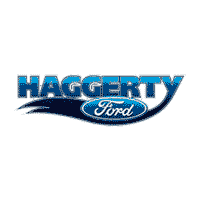 Whether looking for a commanding SUV like a silver Ford Escape, family-friendly sedan like the Ford Fusion, or a crossover like the Ford Flex, you’ll find many vehicles priced under $10,000 for sale at Haggerty Ford. With different makes and models coming in and driving out all the time, we’re always a great place to start when you need a dependable used model near St. Charles. Additionally, our available pre-owned specials provide added incentives, so come down to our nearby pre-owned of St. Charles dealership to browse our cars under $10,000. Why Look to Haggerty Ford for Vehicles Prices Under $10,000? You may be asking yourself, “Where is the nearest ford dealership that’ll carry vehicles within my budget?” Luckily, Haggerty Ford is your expert for assistance on finding the vehicle that won’t over-stretch your budget with our wide range of options. We carry used models from Ford and others, and each one will share our own seal of approval before passing into your hands. Our team will be more than happy to help zero in on the right car, truck, or SUV to meet your needs. Haggerty Ford even provides a handy online payment calculator to help you work out the numbers. For any further advice or assistance, simply visit our showroom in West Chicago or feel free to contact us today.